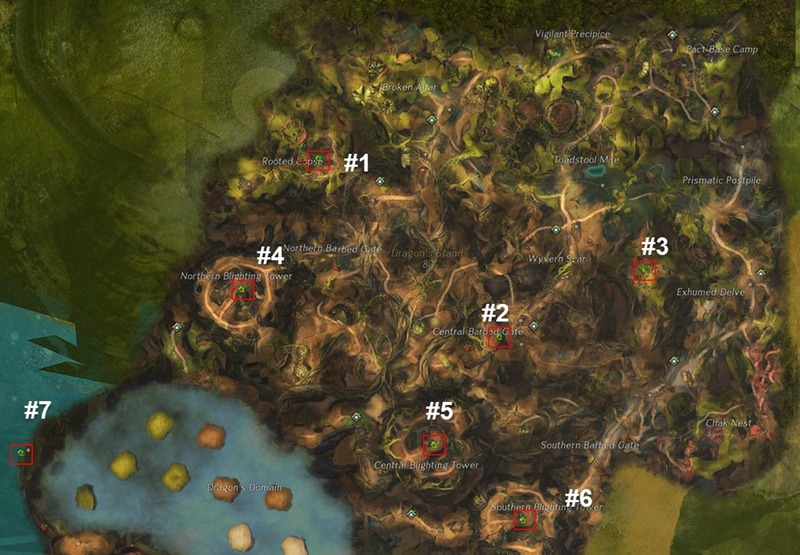 GW2 Dragon’s Stand Hero Points and Mastery Strongboxes Guide. Special thanks to Versepelles for the help in creating the guide. Four of the Hero points requires successful meta event completion to unlock. The remaining three requires the meta to advanced to the appropriate Blighting Tower, which is the last step before the final fight in the meta chain. 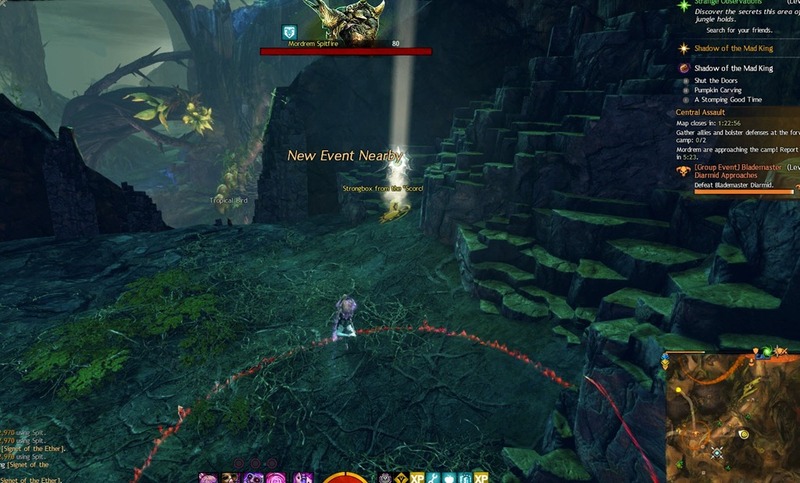 You only have 15 minutes after the event completes before it kicks you out of the map. I would recommend getting #7 first and then #4 and #5 unless there is a mesmer porting for #6. #1, #2 and #3 can be acquired next time. 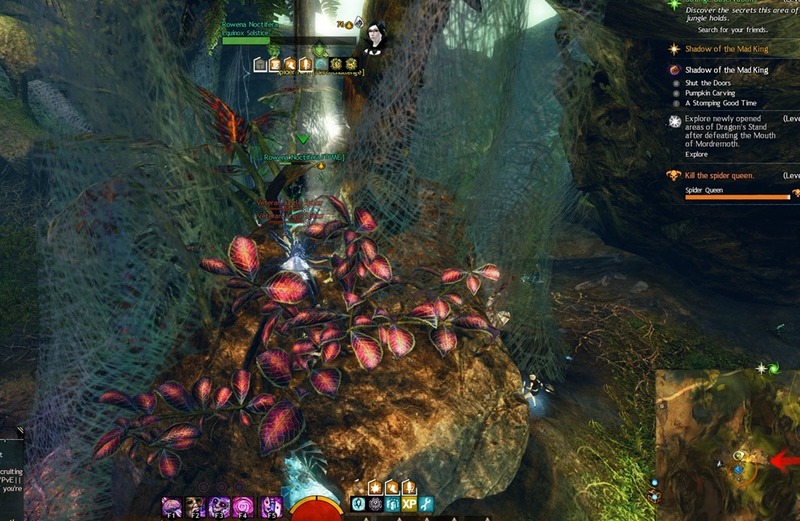 This requires successful Mouth of Mordremoth event completion. Drop down on the hole just west of Northern Advance Camp waypoint and head west towards the door that now opens under the vista. Take the updraft and the bouncing mushrooms to get up top. 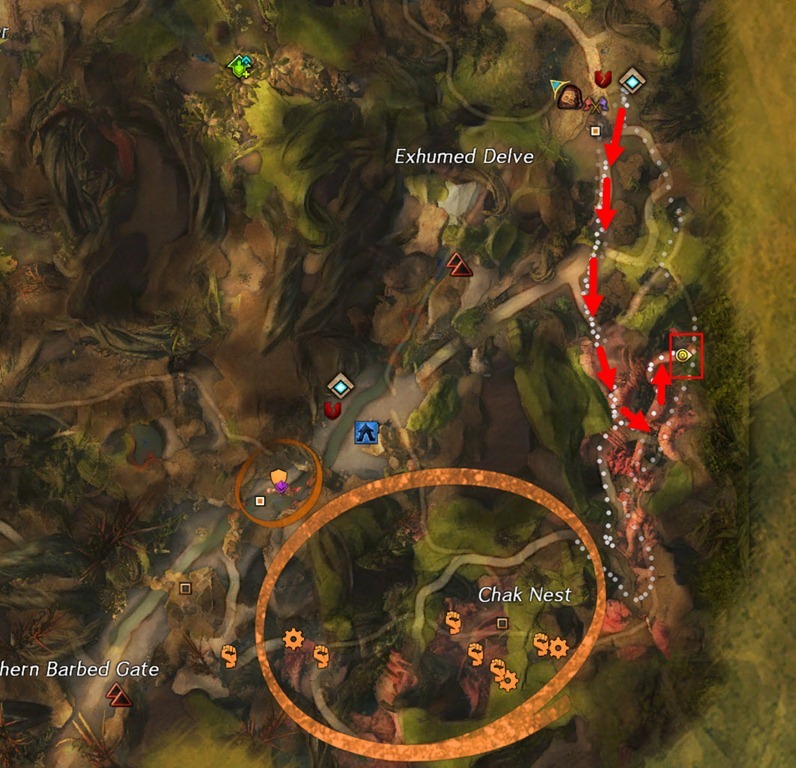 Beware there are tons of mobs in this area. From the top area, drop down to the opening on your right. It is tricky to land but if you have Lean Gliding you can slow down your descent to reach it easier. 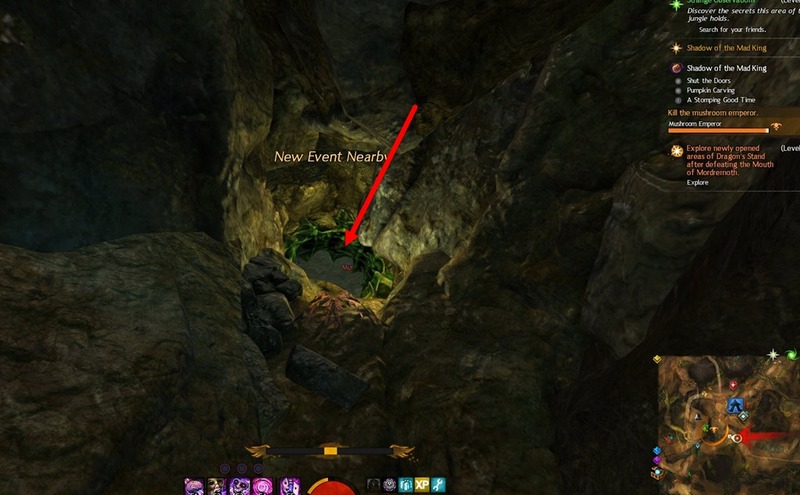 This requires successful Mouth of Mordremoth event completion. Drop down on the trench like opening just south of Central Advance Camp waypoint past 2 updrafts and head west. 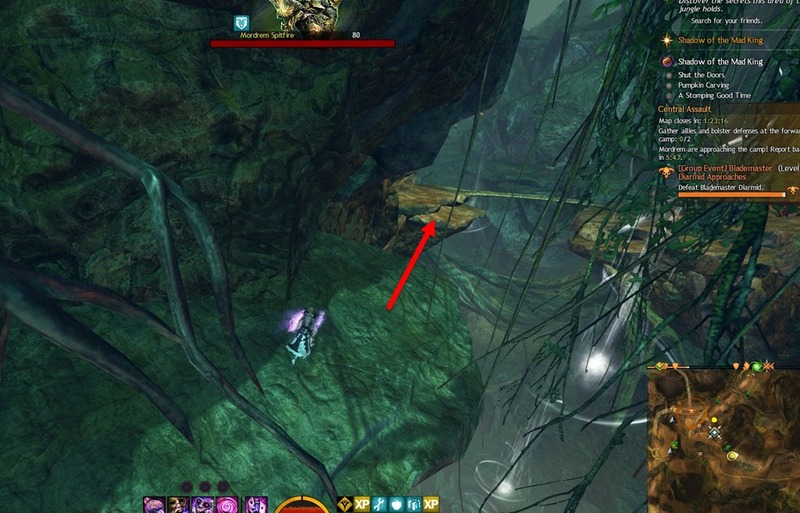 There is a small hole that is normally blocked unless you completed the meta successfully. 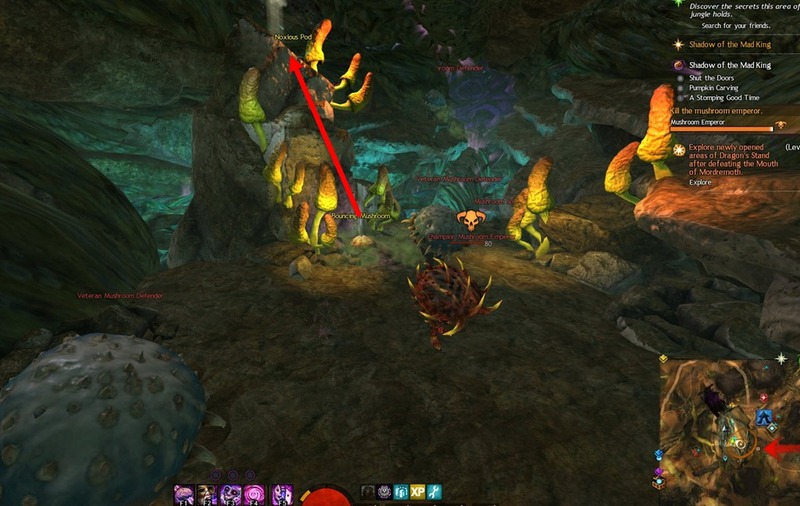 Inside is a bunch of mushroom mobs and a bouncing mushroom that will take you to the hero point. 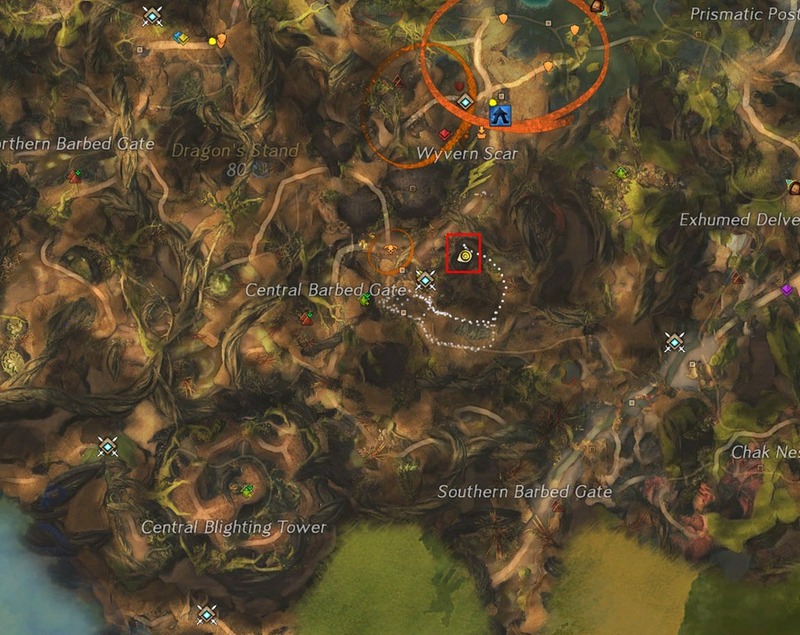 This requires successful Mouth of Mordremoth event completion. 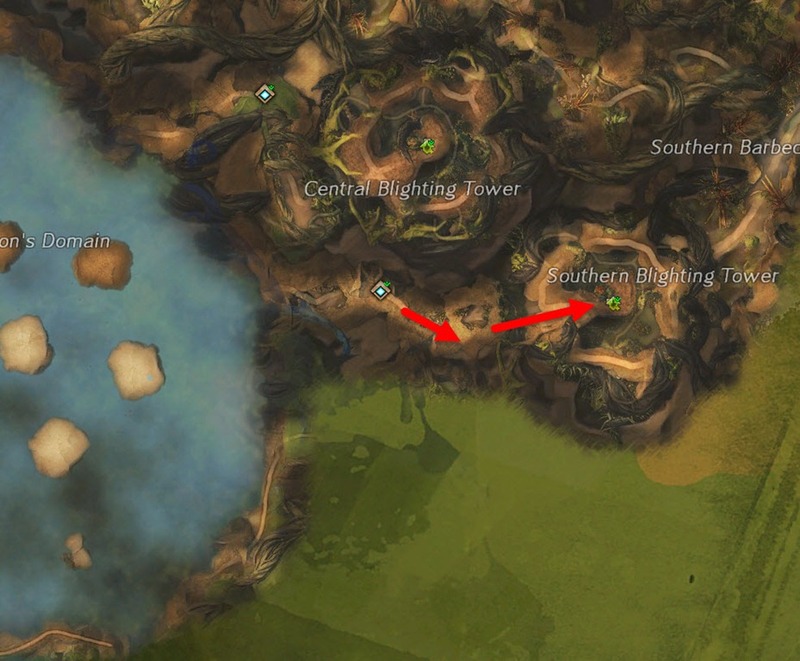 Head west from East Advance Camp waypoint and you will see a new ley line opening up after meta completion. 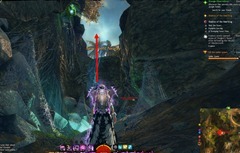 You can ley line glide up the the hero point will be on top of a rock you can commune. 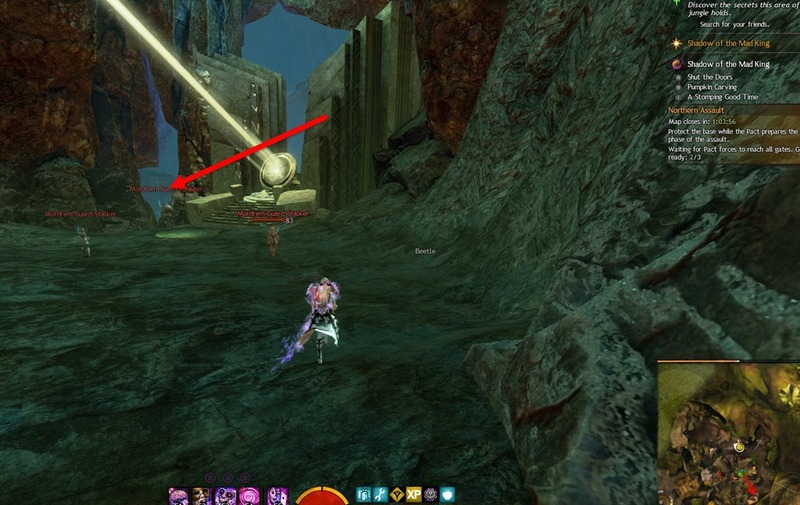 If you don’t have ley line gliding, you can ask in map chat for a port from a mesmer with this mastery. 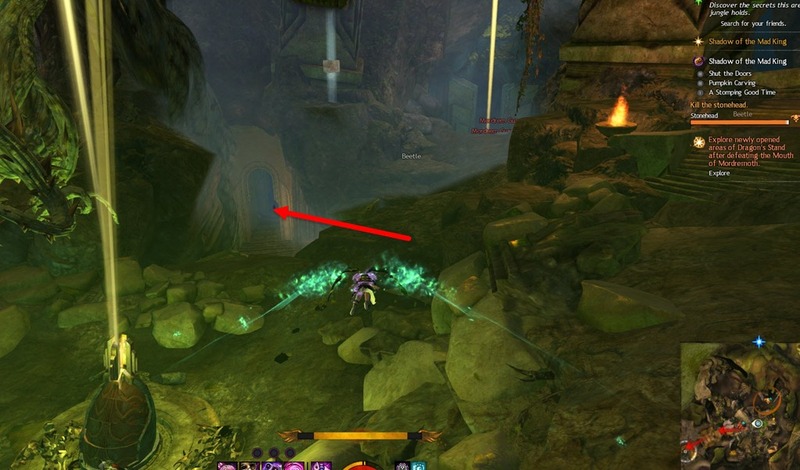 Mastery Requirement: Ley Line Giding (or find mesmer with port). 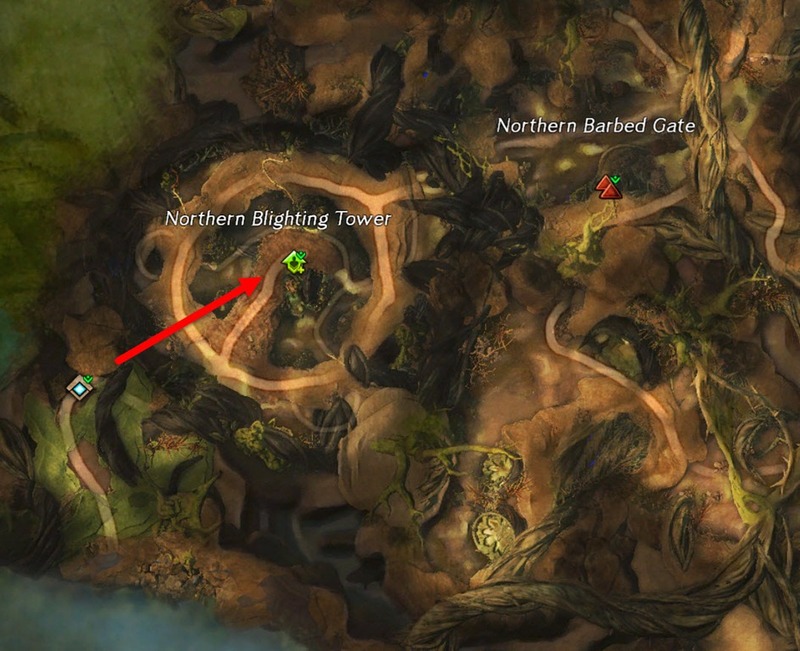 You can get this after the Blighting Tower fight (right before Mouth of Mordremoth fight) or after Mordremoth event competes. 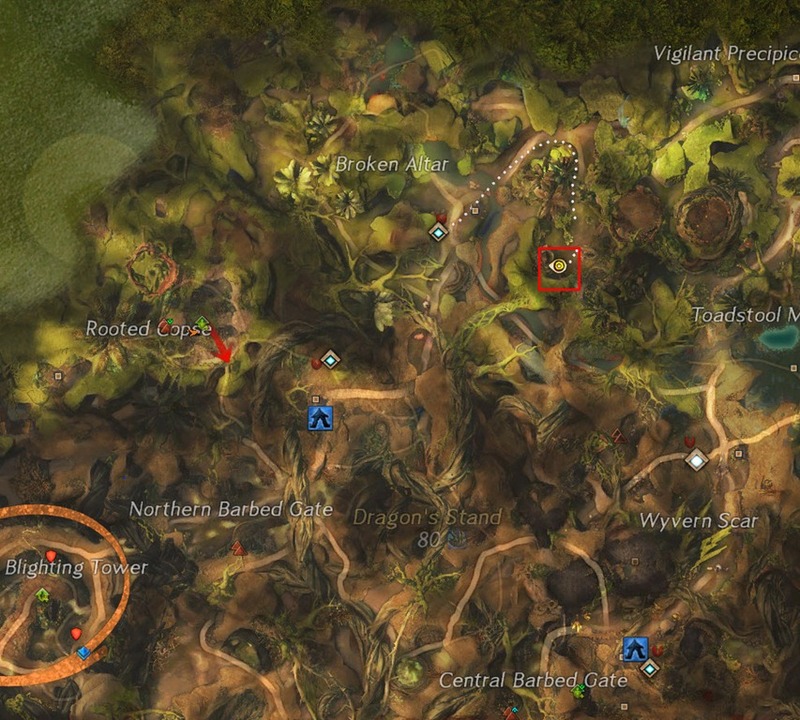 It is very easy to reach, just head north from the northern Dragon’s Domain waypoint and channel it. 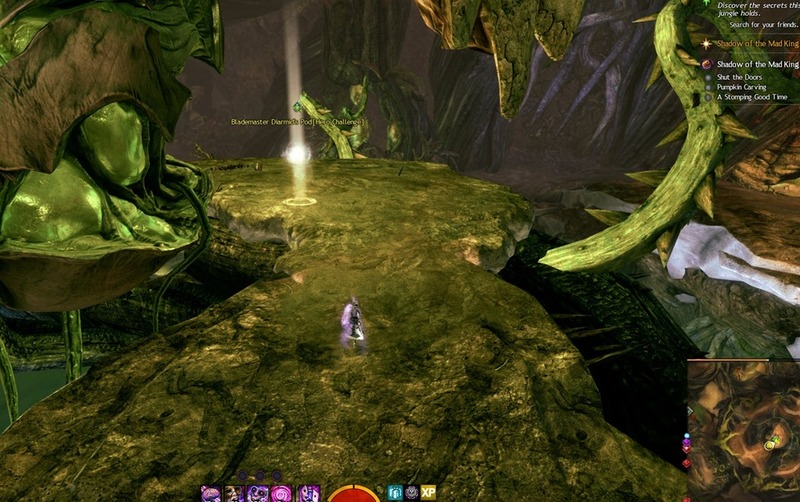 You can get this after the Blighting Tower fight (right before Mouth of Mordremoth fight) or after Mordremoth event competes. 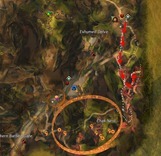 It is very easy to reach, just head southeast from the central Dragon’s Domain waypoint and channel it. 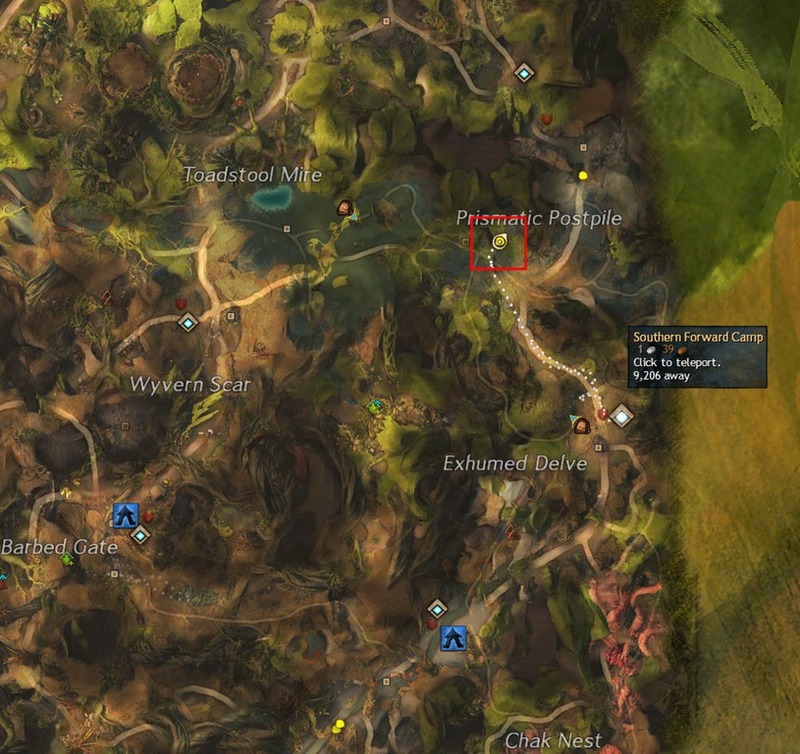 You can get this after the Blighting Tower fight (right before Mouth of Mordremoth fight) or after Mordremoth event competes. 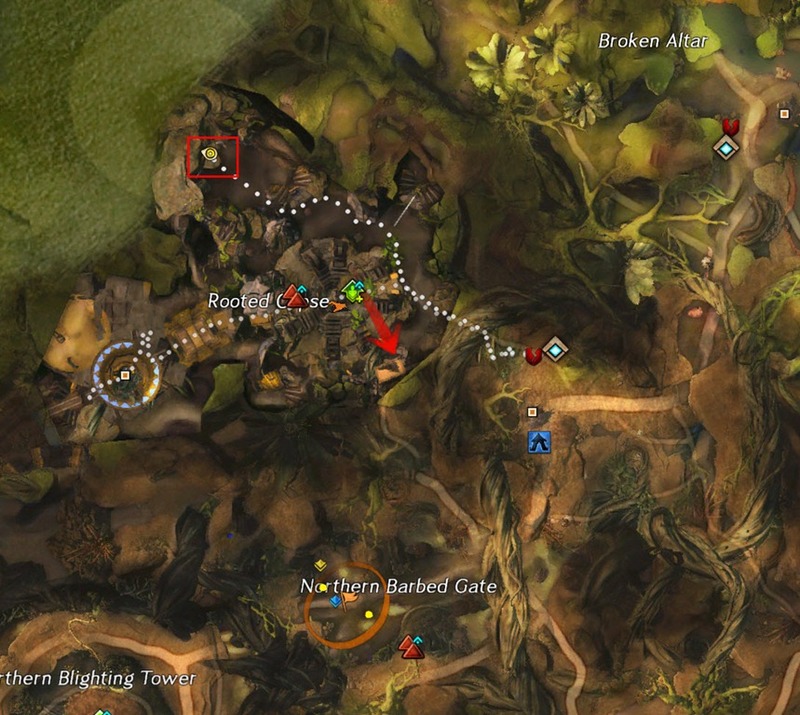 It is very easy to reach, just head southeast from the southern Dragon’s Domain waypoint and channel it. 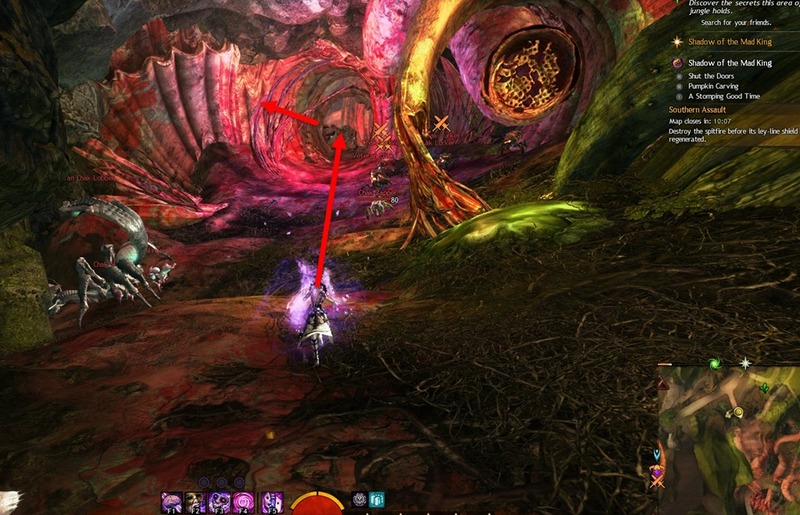 This requires successful Mouth of Mordremoth event completion and you will need Lean Techniques. 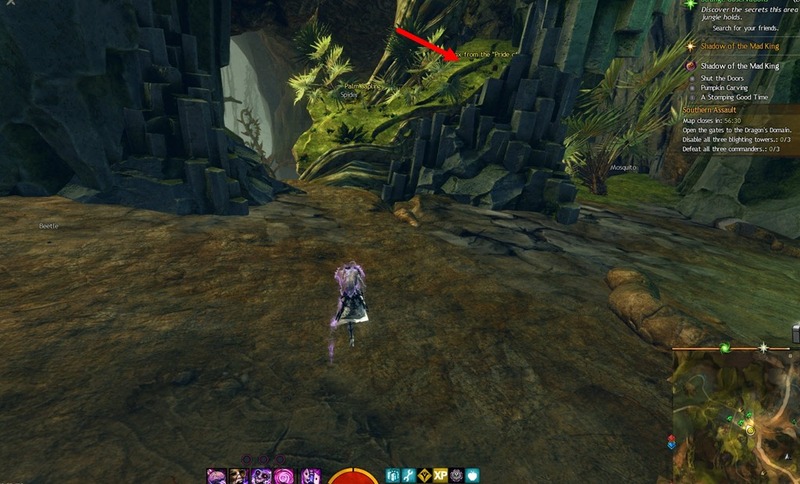 Glide from the chest at end of the final fight but do not press down W. Pressing down W will eat up your gliding endurance faster so you just want to glide without the speed boost. 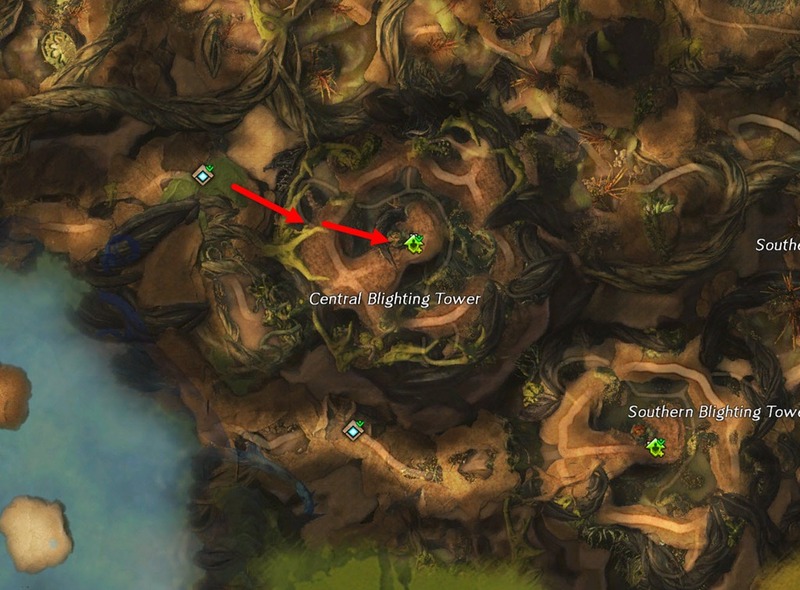 Head to the location above that twisted vine and hug the invisible wall to your left until you arrive at the Hero Point. 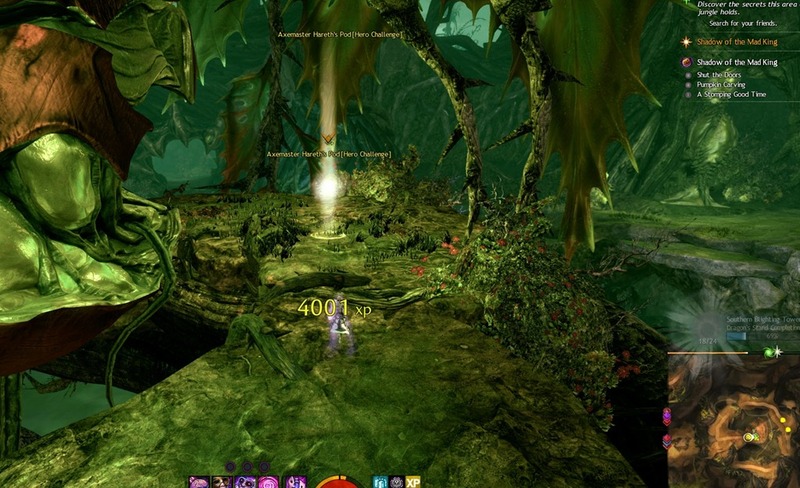 Unlike the hero points, all the strongboxes can be obtained regardless of the meta event status so any map of Dragon’s Stand will do. 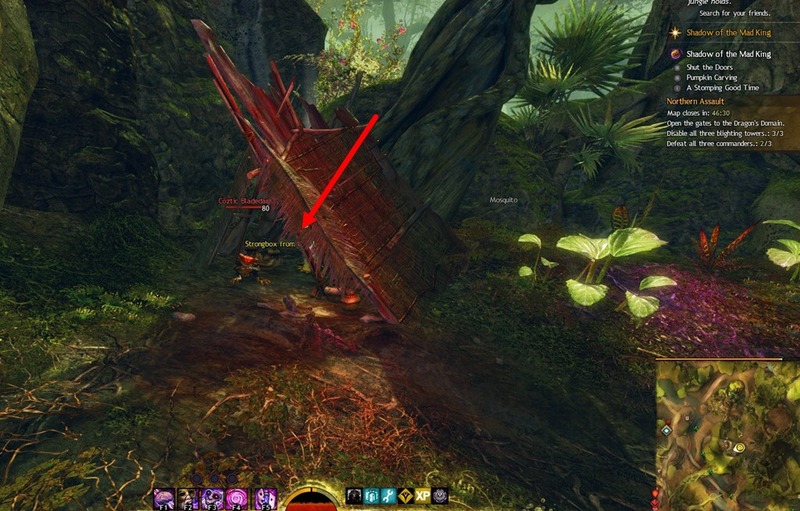 From Southern Forward Camp Waypoint, head northwest and you will see the strongbox just a bit up on the ground. 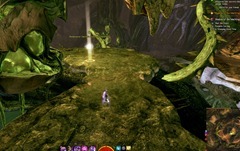 From Southern Forward Camp Waypoint, head south through one of the bug tunnels. 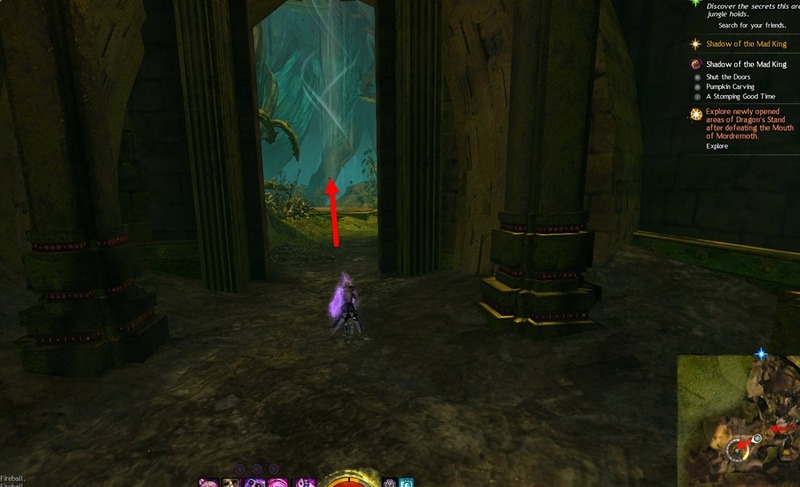 Take a left immediately once you see an opening on the left wall of the tunnel. 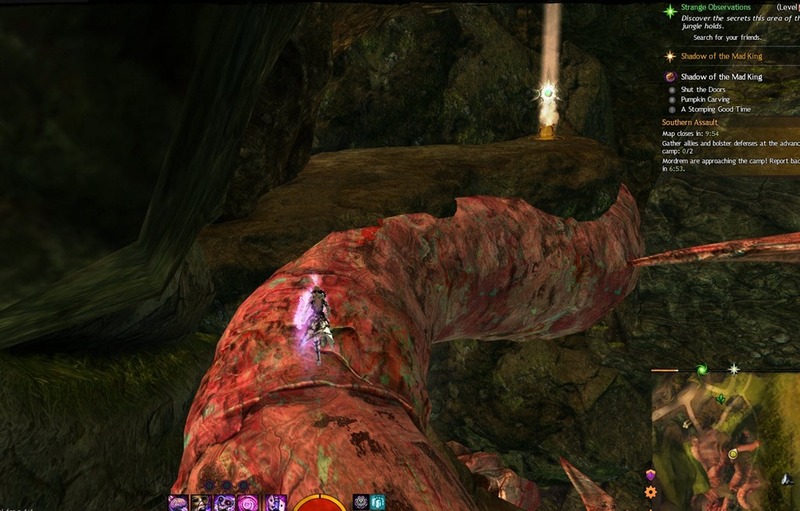 Climb up the pipe like structure and you will find the strongbox. From Northern Forward Camp Waypoint, head northeast and follow the bendy path. 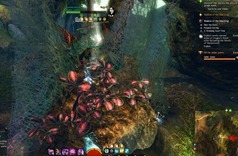 The strongbox is inside a tent guarded by some mobs. 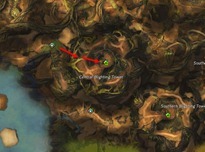 From Central Advance Camp Waypoint, run south and around the bend. Your goal is to glide to the ledge. Updrafts/Bouncing Mushrooms may help but is not required. From Northern Advance Camp Waypoint, drop down on the hole nearby and run through the gap in one of the light structures in the NW area. 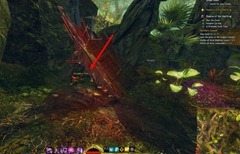 Glide or run to the strongbox. Special thanks to Versepelles for the help on the hero points and strongboxes. #3 can be reached from the center lane (without the need for ley-line gliding) by using an experimental rifle. i have exp rifle to but i didnt find any way for it can you explain a bit ? 1, 2 and 3 can be done before succeeding the meta event. 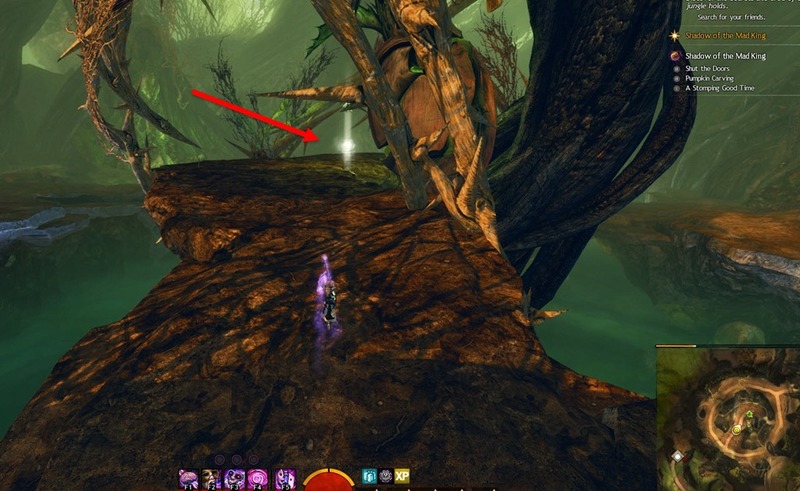 Though i doubt it was intended, much like some areas in Auric Basin are accesible by ley line gliding, but can be avoided by beeing creative. Dulfy is from Canada?! Than Dulfy for MP on Trudeau’s cabinet!! 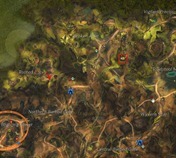 How do u get the poi near southern barb gate “ley line overlook”? it has like a spine bone overhead with a horizontal leyline im jumping into it but cant get it? 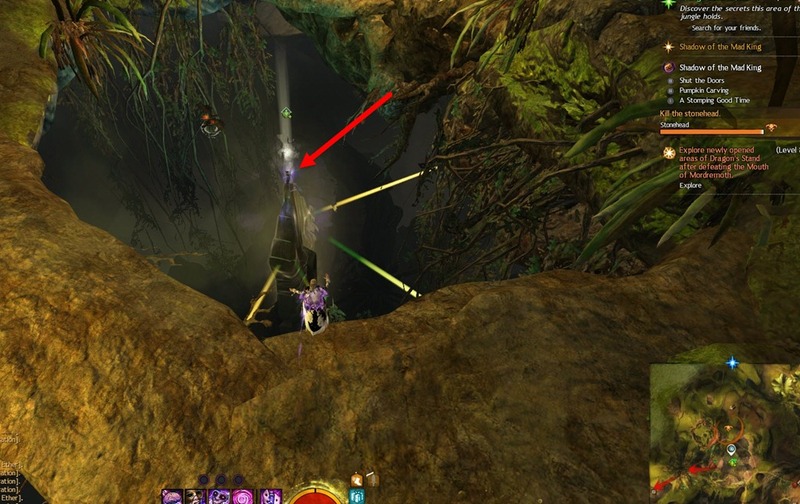 Got it you don’t use the leyline at all go to the mushroom further towards the Gate to the leyline collectors and as you get to the top of the bounce (get high as u can) start gliding turn and fly back to it. trying all i can with that trick for about an hour but having no joy with it . . .
Just past the poi, southeast, is the bouncing mushroom. Jump on the mushroom facing toward the poi. 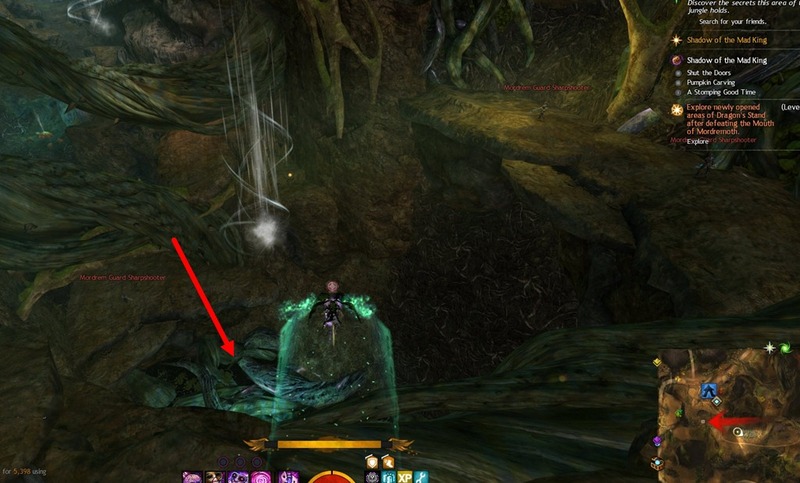 When you are at the top of the bounce, just before you will be launched to the perch behind you, begin the glide mechanics. Quickly turn and you will fly back to the poi. 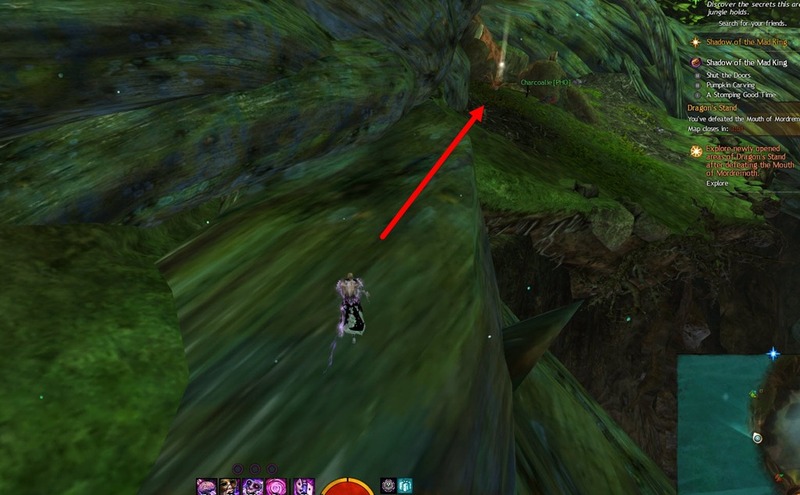 You do not need advanced gliding to get there. 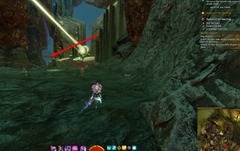 #3 Spider’s Nest can be done without Ley-Line Gliding. #7 can be done with basic gliding and doesn’t require the event completion. 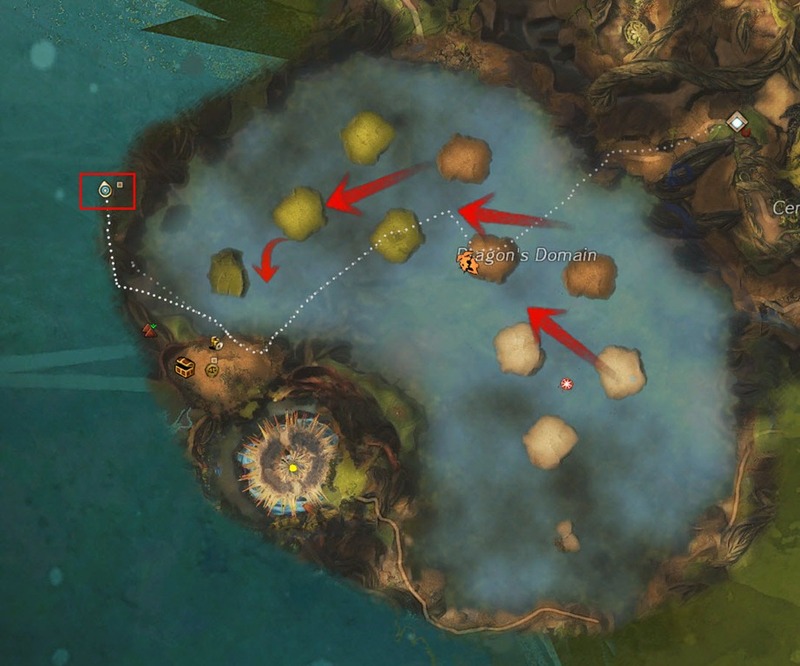 I can’t record the path but I can show to someone who can. Thank as always. You’re amazing. Are you gonna make a guide for other achievements as well? Why is it each time I go to a mastery point it IS NOT THERE? What’s going on? #3: “East Advanced Camp” doesn’t exist; it’s “Southern Forward Camp”. #’s 1,2,3 no longer need the meta (holes are always open, ley line is always present). Does anyone know if there is some kind of map on where these Master Points are NOT HERO Points MASTER Points. I sure would like to take the Guessing out of the areas of Dragon’s Stand, Tangled whatever it’s called Etc.